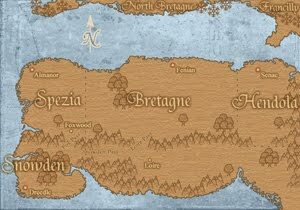 The author has created a vivid world in this fantasy book made all the better with the dash of steampunk-like elements. The setting is described but not overly described. (I find too many details more distracting than too little.) 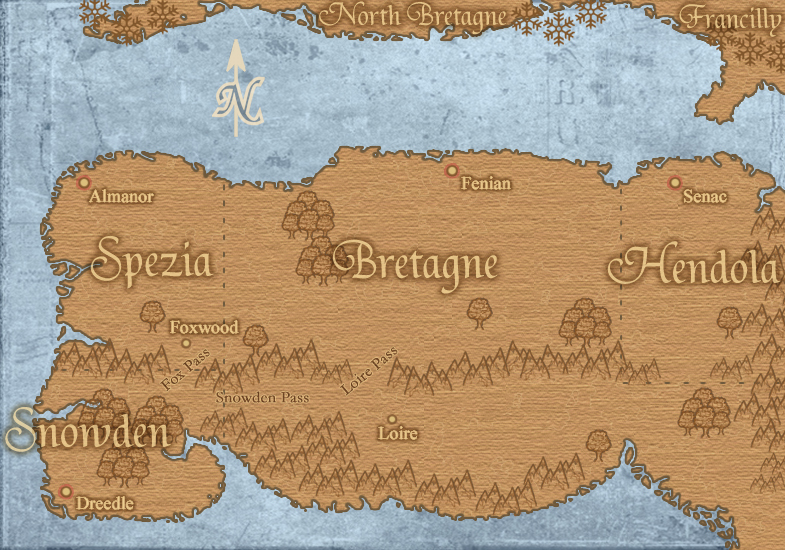 Not only are the physical aspects of the setting explained, but all the parts that make up a civilization that cannot be seen are explained as well. Mindset of the citizens, history of the leadership, and the religious belief system are all created and explained in a way that blends seamlessly into the plot. The characters are well rounded with their own traits and growth. (Especially by the third—the most recent by posting of this review.) Each is composed of bad and good parts. Just like real people—the bad traits can be little things or big things. The scary assassin Sicarius might be a killer, but he still has a human side beneath all that black clothing. I’m a sucker for humor and the characters never fail to deliver. There’s more than one type of humor so if one line doesn’t get you smiling, another might. The back and forth between Amaranthe and Sicarius are well timed and executed. (Even more so by each book’s progress in character development.) That’s not to say they’re the only two to enjoy. It’s hard not to fall for all the boys in Amaranthe’s group. The plot is not only unique, but fast moving (more so in later books—the first needs room for character introductions) and hard to put down. A group of misfits—lead by a women with a bounty on her head paired up with an assassin wanted dead by the emperor—work to do “good deeds” for the empire to get noticed by the emperor and maybe get a pardon. These good deeds don’t always get them the attention they want (what plan ever goes as planned?) but the adventures tighten the group’s dynamic little by little. And offer entertainment for the reader. While some books fall victim to forced plot movement, this one does not. Every decision seems plausible and natural—helped by Amaranthe being led by her heart. In short, this series is one any reader should check out. The first ebook is FREE so there’s no harm in trying. 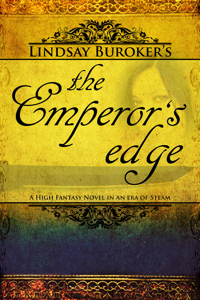 Pick up your Kindle or Nook and navigate to Lindsay Buroker and pick the free version of Emperor’s Edge. (or see the links I posed above) If you don’t like it, you haven’t lost a single penny. Comment here and tell me if you plan to read Emperor’s Edge or if you have already.